I'm still enjoying playing with acrylics. 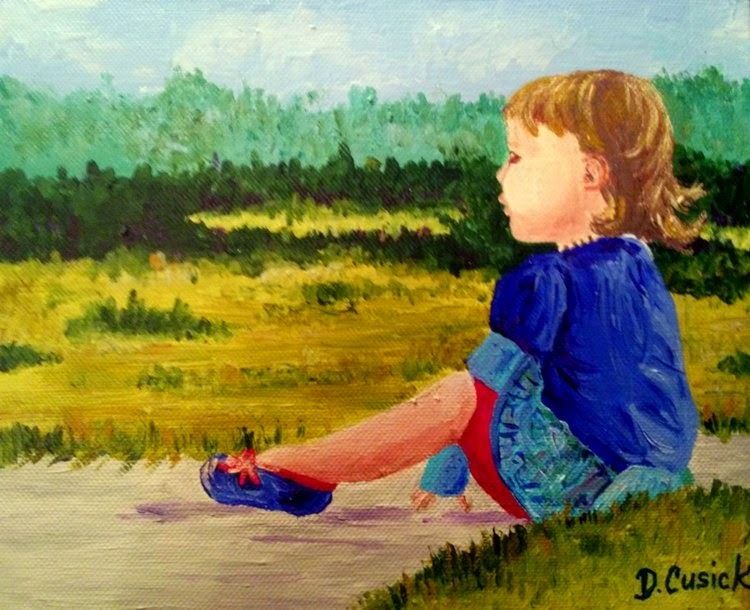 This is a little 8x10 I did with acrylics of my granddaughter Finlay - combining a couple photos from a day we spent at Fort Beausejour in New Brunswick, Canada. I finished it up fairly quickly as a Christmas gift for my son and daughter-in-law.